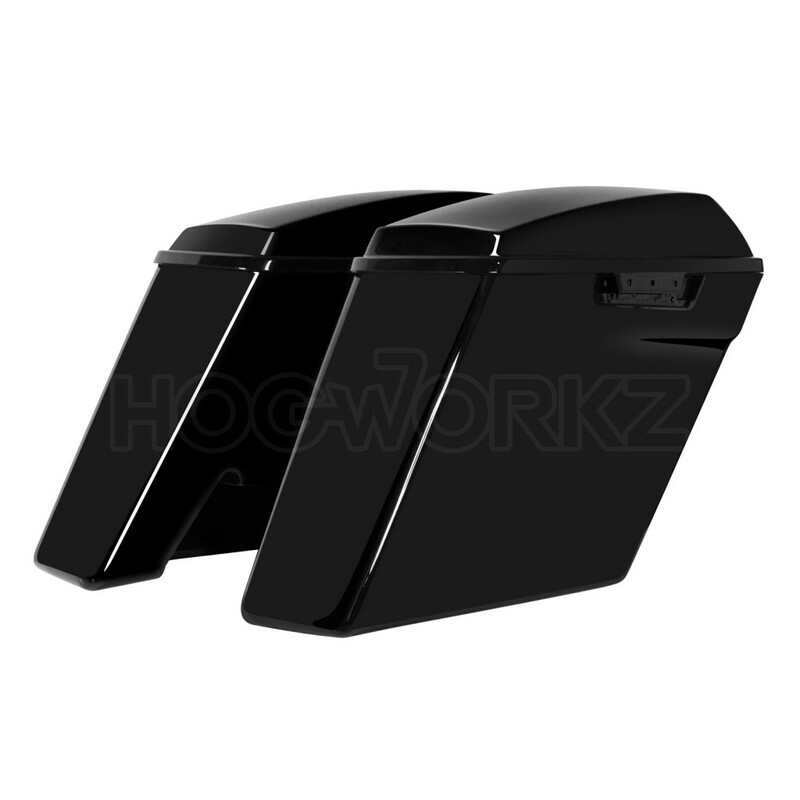 The ultimate Dual Blocked 4" Stretched Saddlebags for your '14-'17 Harley Touring bagger! Transform you Harley into the ultimate bagger. These dual blocked Stretched Saddlebags are built to last and ready to paint. Both saddlebags are blocked to allow for your custom exhaust or side mounted exhaust application! Slammed Harley's look better, so hit road lookin' your best. A perfect setup to set your bike apart from the crowd. Easy to install, mounts up to your OEM bolts, and uses your stock Saddlebag Hardware. No fight, no fuss, these bags are made to work. Ready to prep, prime and paint! Includes left & right side saddlebags and matching lids!